PARIS (AP) — A former security aide to French President Emmanuel Macron who was videotaped beating up a protester said Wednesday he would appear before a Senate commission examining the resulting political scandal — but only because he has no choice. The commission, which resumed hearings Wednesday after a summer break, wants to understand the nature of Benalla’s job at the presidential Elysee Palace, which gave him perks and let him carry a gun, as well as uncover eventual malfunctions in the office of top aides and the security details protecting the president. Benalla, 27, was placed under investigation shortly after the newspaper Le Monde identified him on July 18 as the man seen beating a protester in an online video of May Day march that had turned violent. He was fired amid a public outcry. The ongoing judicial process puts any questions directly related to May Day off-limits to during his Senate testimony. Benalla initially refused to appear before the Senate panel, but told BFMTV he will “grudgingly” go before the commission after its chief, Philippe Bas, informed him that a witness’ failure to do so can result in jail and fines. France-Inter said Benalla called Bas a “little marquis” in its interview and described him as extremely agitated. Benalla asked the radio channel not to air his voice. From the start of the scandal, questions have centered on the boundaries of Benalla’s role at the Elysee and his influence and weight among police inside and outside the presidential palace. He served as Macron’s bodyguard during the presidential campaign, but had no clear title in his new job, in which he helped organize outings, often accompanying Macron. The initial punishment for his violence at the protest was two weeks suspension, which raised more questions — as did his appearance with the president at special outings during that time. 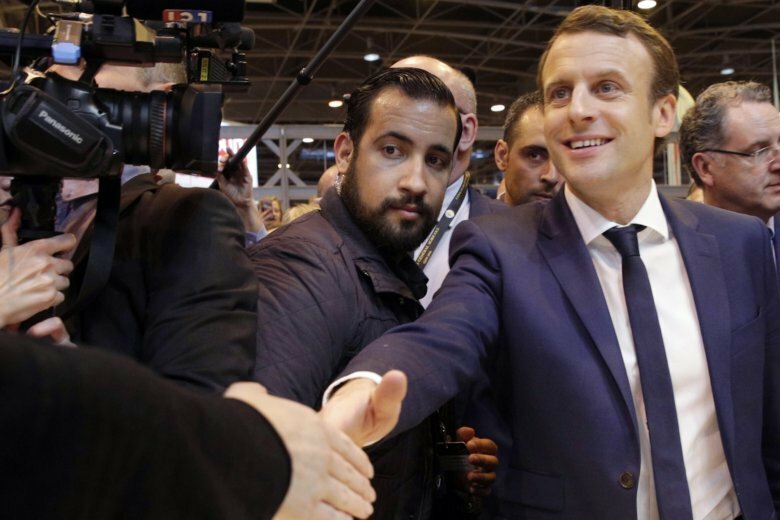 “His behavior was reprehensible,” Francois-Xavier Lauch, Benalla’s former direct boss, told the commission Wednesday, referring to the May Day protester’s beating. However, like others who worked closely with Benalla, Lauch praised his job performance.